FIU was ranked among the Top 100 Worldwide Universities Granted U.S. Utility Patents in 2017 in a new report published today. 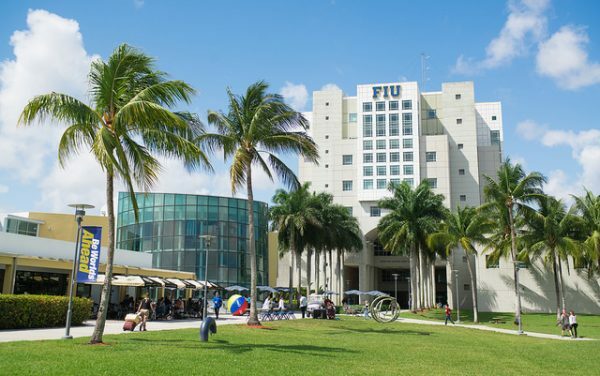 “FIU’s ranking as one of the preeminent universities in the world for patent production recognizes that we have remarkable faculty and students developing innovations that allow us to change lives and drive economic development,” said FIU Provost and Executive Vice President Kenneth G. Furton. FIU placed 61st in the world with a total of 42 U.S. utility patents in 2017 – a record for FIU researchers. Patents awarded ranged from a way to restore the sense of touch to upper extremity amputees to completely changing the way chemical testing is done. “This recognition is an indication that FIU researchers are pushing the boundaries of innovation and technology to help solve some of society’s most pressing concerns,” said Vice President for Research and Economic Development Andres Gil. The rankings, compiled by the National Academy of Inventors (NAI) and Intellectual Property Owners Association (IPO), were based on data obtained from the United States Patent and Trademark Office (USPTO). The NAI and IPO have published the report annually since 2013 to highlight the vital role patents play in university research and innovation. The report ranks the top 100 universities named as the first assignee on utility patents granted by the USPTO during the 2017 calendar year.